ABSA International (ABSA) was founded in 1984 to promote biosafety as a scientific discipline and serve the growing needs of biosafety professionals throughout the world. The Association’s goals are to provide a professional association that represents the interests and needs of practitioners of biological safety, and to provide a forum for the continued and timely exchange of biosafety information. The ABSA Association was founded to promote biosafety as a scientific discipline and serve the growing needs of biosafety professionals throughout the world. 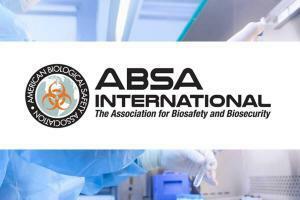 ABSA International (ABSA) was founded in 1984 to promote biosafety as a scientific discipline and serve the growing needs of biosafety professionals throughout the world. Its goals are to provide a professional association that represents the interests and needs of practitioners of biological safety, and to provide a forum for the continued and timely exchange of biosafety information. producing an annual membership directory to stimulate networking. ABSA International is dedicated to promoting and expanding biological safety expertise. Maintain personal integrity and act responsibly to uphold the integrity of the profession. Avoid situations, and actively work to prevent occurrences presenting a conflict of interest or that will compromise professional judgement. Provide biological safety services only in areas of competence. Follow recognized biological safety guidelines and standards as set forth by established professional groups or local, state and federal governmental agencies, centers, or institutes, in performing work in biological safety. Provide information regarding potential risks to employee or environmental health and precautions needed to avoid adverse effects. Maintain confidentiality regarding services provided.